By his own admission, Martin Nutt is not usually keen to join clubs or be a member of committees. He’s never really felt the need. Yet for the past year Martin has been the president of Dartmouth Rotary Club, and he says he has relished the role. Experienced businessman Martin was asked to join Dartmouth Rotary Club six years ago and went along out of curiosity. He discovered a multi faceted organisation that sought to use expertise to help other people. “It is a chance to give something back to others – but the thing it did for me was it introduced me to another 40 people I didn’t already know, giving me fellowship and friendship. Martin’s work within Rotary has been extremely varied – everything from selling Christmas chestnuts to raise money for charity, to liaising with other community leaders to work for the benefit of Dartmouth. Rotary is part of all local events, from Regatta and the Food Festival to Candlelit Dartmouth. Another global project keenly supported by Dartmouth Rotarians is Shelterbox. These life saving boxes, each with tent, cooking equipment and emergency supplies, have most recently been part of emergency aid from the UK supplied to victims of the earthquakes in New Zealand and Japan. Martin said: “They are a brilliant concept. Shelterbox was started by a Rotarian from Helston in Cornwall and we have done a lot of fundraising to pay for boxes and raise awareness of what a tremendous idea they are. Much of the money we raised by roasting chestnuts at Christmas went to Shelterbox, and Dartmouth Rotary Club members won the Dartmoor Challenge, which involved running across the moor carrying and living in a Shelterbox. That wasn’t me – that was younger fitter fellows! 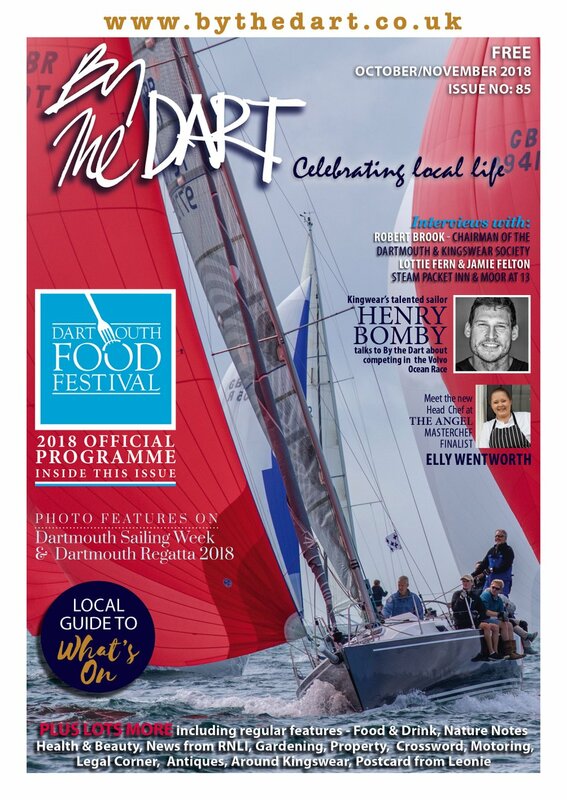 Martin’s presidency has coincided with the 60th anniversary of Dartmouth Rotary Club, which now boasts 47 members from all sorts of different business backgrounds - from computer experts and estate agents to fishermen. 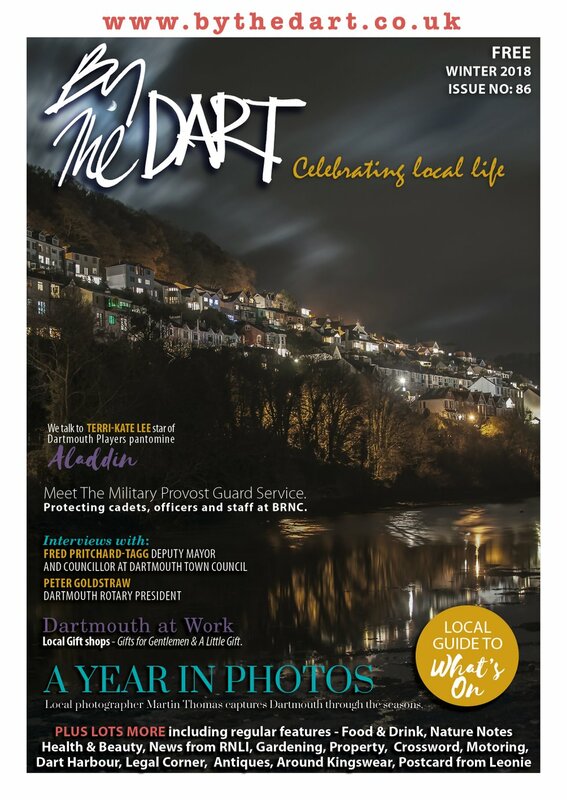 It has been a year of continuing to forge links throughout the community of Dartmouth, helping school students with mock interviews, offering support to the Townstal Community Partnership, bringing together pivotal local figures such as the Commodore of Britannia Royal Naval College, the Harbour Master, the Mayor and school leaders. Sports competitions against neighbouring Rotary clubs in South Devon have been fiercely fought. Martin’s business background saw him rise from apprentice to general manager of a national company. He was in the printing industry, supplying ink, chemicals, paints and resin all over the world, and work took him around the globe to countries including South Africa, Zambia, Australia and the United States. He’s been retired since being made redundant 12 years ago, when his company was bought by French oil company Total. It was a happy departure, and brought Taunton-born Martin back to the South West. 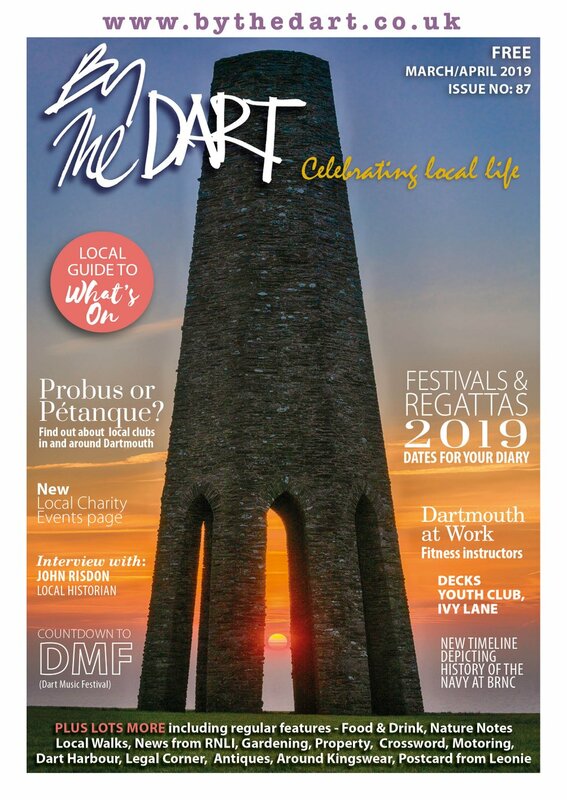 Once settled back in Dartmouth they each threw themselves into volunteering for the town, Martin with Rotary and Dee as chair of trustees for Dartmouth Caring. A father of two, Martin’s daughters live in Brazil and in London. When he’s not busy with Rotary business, he enjoys playing bowls and petanque. He rows with a group of friends who between them own a giglet, and they also row whalers in the Regatta for the Floating Bridge. “It’s usually one hour rowing and two in the pub, but it’s great fun!” he said.